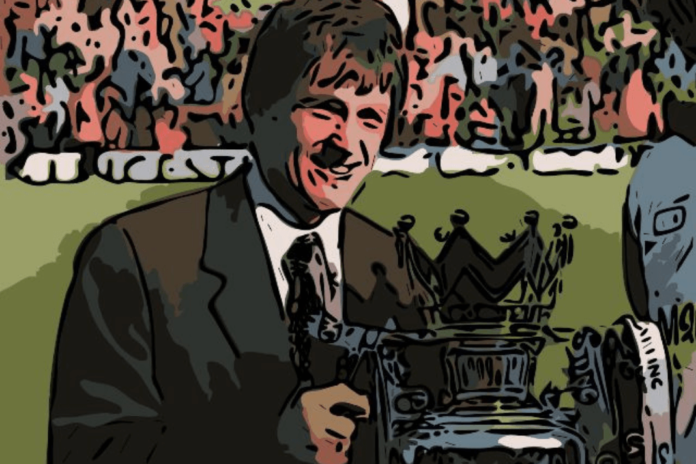 Last week we looked at Sir Kenny Dalglish’s first spell in management at Liverpool and pondered upon the reasons for his sudden resignation in February 1991. In part two of our look at Sir Kenny Dalglish, we examine the twenty years between his departure from and his return as manager. Kenny Dalglish’s resignation was a true shock that rocked the football world, and Sir Ken’s insistence that he was quitting due to the pressures of the job invoked a certain degree of sympathy in most quarters. Some people, however, were a little less understanding, and Dalglish was criticised in print by those who questioned whether a man earning a good wage to manage a football club was really in a position to fully understand the meaning of pressure. What Kenny chose to keep to himself at that point was the fact that a lot if not all of the strain he was feeling had been accumulating since the Hillsborough Disaster twenty-two months earlier. Back in February 1991, it was widely assumed that the pressures were football-related ones, and it was not until the release of Kenny’s autobiography five years later that he explained matters in length. As touched upon last week, at the time there were also those who believed Dalglish’s resignation could have been due to a falling out with the board over transfer funds. Nevertheless, Kenny Dalglish looked truly broken during the media conference held to announce his departure, and as he walked away from Liverpool that day he did so with a broken heart. Two months went by with Ronnie Moran in charge in a caretaker capacity while Graeme Souness was being courted. In charge at Glasgow Rangers for almost five years, Souness had been an unqualified success north of the border and was seen as the perfect replacement. Initially, Souness was reluctant to return to Anfield where he had graced the field as Liverpool captain and had so much success as a player between 1978 and 1984. Turning down Liverpool’s first approach, Souness elected to stay at Ibrox and so the Liverpool board turned to another Anfield Old Boy. John Toshack had supposedly been offered the Liverpool job back in March 1982 when it looked as if Bob Paisley was going to retire at the end of the season. At the time, Toshack was flying high in his first managerial post at Swansea City where he’d led the Swans from the old Fourth Division to the top six of the First Division in four years. As it happened, Paisley decided to continue for another year and when the position fell vacant in 1983 the mantle was passed to Paisley’s assistant, Joe Fagan. Now, in 1991, Toshack turned the position down, and so the Liverpool board went back to wooing Souness, and this time he agreed to leave Rangers. While all this was happening Kenny Dalglish had taken himself off on a family holiday and was recharging his batteries. Despite telling the Liverpool board he wanted a complete break, he was now having second thoughts about quitting. He wrote in his second autobiography, published in 2010, that had Liverpool waited for him to return from his vacation and then approached him about a return, he would have accepted ‘like a shot’. By then, though, it was too late as Souness was firmly in the manager’s hot-seat. Disappointed at not going back to Liverpool, but ready to return to football in the summer and autumn of 1991, Sir Kenny started receiving interest and offers from other clubs. For a while, it looked like he was on his way to France and Marseille. Terms were agreed with the notorious owner, a certain Bernard Tapie who was later banned from football for match-fixing. The deal ultimately fell apart over a disagreement between Dalglish and the agent involved in the deal who asked for a bigger commission than Kenny fancied paying. An approach was also made by Sheffield Wednesday, but following the disaster two years earlier, that was always going to be a non-starter. When Dalglish did finally return to football it was a surprise that it was Second Division Blackburn Rovers that was able to tempt him. Owned and bankrolled by local steel magnet millionaire Jack Walker, Blackburn had been floundering in the Second Division for a number of years, despite some relatively big-name signings over the years. Ossie Ardiles and Steve Archibald had both spent time at the club in recent years, but Blackburn had also struggled to attract star players at the top of their game. The signing of Dalglish changed that. With a safe pair of hands in Ray Harford by his side, Sir Kenny was able to attract players of a higher calibre, and so set about improving the fortunes of the Ewood Park club. Taking over in September 1991, Kenny soon had Blackburn firing on all cylinders and early into 1992, they had climbed to the top of the table. Playing an attractive brand of football, they were looking like nailed-on certainties for automatic promotion to the inaugural Premier League kicking off in August 1992. A terrible run of form, however, saw Blackburn fall away and inclusion in the end-of-season play-offs was only secured on the last day of the regular season. An extremely nervy 5-4 aggregate win over Derby County in the semi-finals set up a winner-take-all clash against Leicester City at Wembley. That Blackburn were able to overcome Leicester by the only goal of the game, scored by Mike Newell from the penalty spot, meant that promotion was achieved at the first time of asking. So, to the newly formed Premier League, and yet Kenny wasn’t happy. A heart not in it? After promotion had been secured, he and Ray Harford informed Jack Walker of the players they had identified on their radar for signing. Walker, however, wasn’t convinced of a particular player’s quality or suitability and told them so. According to Dalglish, he stormed out of the meeting and then in his own words, was ‘simply marking time’ from then onwards. In his autobiography, Dalglish pretty much states that his heart was still at Anfield the whole time he was leading Blackburn to ultimate title success. Describing his feelings when he accepted the Blackburn job in the first place in his own words, he wrote: ‘Believing Liverpool might not come back in for me, I settled on Rovers’. Hardly the statement of a man totally committed to the cause, perhaps. Into 1992-93, and while Blackburn progressed well under Kenny and Ray Harford, Liverpool struggled under Souness. With a dozen games to go Liverpool hovered just three points above the relegation slots in fifteenth place, while Blackburn were on course for a top-four finish. At the time Souness was thought to be under pressure, with the Liverpool board tipped to make a managerial change at the end of the season. That being the case, the way seemed open for King Kenny to make a triumphant return to the Anfield dug-out. Come the end of the season and the speculation increased. Souness was missing from Liverpool’s last home game of the season, and a board meeting held a few days later was expected to confirm his departure. However, to most people’s surprise rather than show Souness the door, the Liverpool board, in fact, issued him with a vote of confidence. In his 1996 autobiography, Kenny Dalglish dismissed the rumours that had been circulating around a possible return to Liverpool three years earlier. He wrote that such rumours were an insult to him, to Souness, and to the Liverpool board. His second autobiography flatly contradicts this, however. In ‘My Liverpool Home’, Sir Kenny states that Liverpool did indeed approach him at this time and in fact called him back from a holiday overseas to discuss matters. When Dalglish turned up at said meeting, he thought it was to rubber-stamp his return but it was to his fury that he discovered Liverpool had changed their collective minds and were not, in fact, offering him his old job back. Why did Liverpool approach Dalglish to replace Souness and then change their minds? One can perhaps speculate that everyone thought Souness was leaving at the end of the 1992-93 season but then compensation could not be agreed between the parties. Although not being specific about timelines, Souness has at certain points in the past indicated that he offered to resign as Liverpool manager prior to his departure in January 1994. It is probable that Souness had agreed to resign with Kenny coming back, but then agreement could not be reached. So instead of going back to Liverpool, Sir Kenny continued at Blackburn for another two seasons and famously won the title in 1995 on the last day of the season at Anfield. Coming into the game two points ahead of the chasing Manchester United, who had a better goal difference, Blackburn knew they would be champions if either they beat Liverpool or if Manchester United failed to beat West Ham United at Upton Park. A rather annoying myth has built up over the years regarding this game. Liverpool and their fans were obviously not keen on their East Lancs rivals notching up a third successive league title, and there were whispers abound that it might not be an altogether bad thing if for once Liverpool were to falter in front of their own fans. However, the myth perpetuated that Liverpool fans were openly cheering for Blackburn that day, is just that: a myth. Liverpool had struggled to regain the glory days after Kenny left, and on the last day of the season needed a home win to ensure a top-four finish. Home fans were pleased enough to see Kenny on the brink of a title, but there was a slight feeling at the time that Liverpool had been left in the lurch following his resignation on stress-related issues. Here he was now back at his old hunting ground leading another side to the title. There were certainly a lot of mixed feelings at Anfield that day. Directly following the title success Dalglish stepped ‘upstairs’ to become Director of Football, and by all accounts was barely seen at Blackburn over the next twelve months before leaving the club for good in 1996. A short spell working with Glasgow Rangers Chairman, David Murray, followed. Appointed as New Business Development Manager, Kenny was employed by Murray’s company, Carnegie Sports International. During this time he also acted as an adviser to Rangers boss, Walter Smith. This arrangement was very short-lived though as January 1997 saw Kevin Keegan sensationally quit as manager of Newcastle United and a new opportunity arise. Once again, this was an appointment that was seemingly tailor-maid and couldn’t possibly go wrong. Despite leading the Mags to the runners-up spot in 1997 and reaching the FA Cup final the following season, Sir Kenny lasted but one full season in which relegation was only avoided with two games to play. Indeed, that 1997-98 season was to be Dalglish’s last full season of management for 13 years. After he departed Newcastle two games into the 1998-99 season, his next stop was an emotional return to where it all started for him as a fresh-faced youngster back in 1967. Installed as one half of the so-called managerial ‘Dream Team’ at Celtic, Kenny once more tried his hand at being a Director of Football. It was John Barnes who was handed the title of Head Coach and the remit of running the team. It was not a success, and in February 2000 Barnes was sacked following a disastrous home defeat to Inverness Caledonian Thistle in the cup. Handed the reigns of team management once more upon Barnes’ departure, Kenny Dalglish led Celtic to a League Cup success and second place in the table, before he too was summarily sacked at the end of the season. Sir Kenny subsequently initiated legal proceedings for unfair dismissal and finally accepted an out of court settlement. Fast forward another nine years and the inevitable finally happened. Kenny Dalglish at last returned to his Anfield spiritual home. Dalglish was appointed by Rafa Benitez to work on youth development whilst acting as a club ambassador and the two men worked together for a season. Following a strong second place finish in 2009, Liverpool were expected to challenge for the title the following season, but instead flattered to deceive. A poor seventh place cost Benitez his job, and so the search for his successor was on. A list of candidates was drawn up and Sir Kenny was asked for his input and opinions regarding an appointment. It was at this stage that Kenny threw his own hat into the ring and declared himself interested in the position. Initially, he was informed that the Liverpool board saw him more in an ambassadorial role whilst continuing to assist in the youth academy, and eventually, Roy Hodgson was appointed. At the risk of repeating oneself, again an appointment that should have worked on paper failed dismally, and on January 7, 2011, came the call that Kenny Dalglish had been waiting twenty years for. Liverpool wanted him back as manager.